Let’s get real, while balloons are awesome sometimes the price of helium just isn’t. While nothing beats celebrating with hundreds of balloons, the always rising cost of helium can cause balloons to really break some budgets. 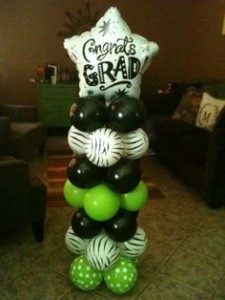 Luckily we have come up with some awesome solutions that allow you to still have a great party decorated with balloons without going bankrupt! I give you the Balloon centerpiece! Looking for something a little more unique? These balloon creations are made completely with air filled balloons! 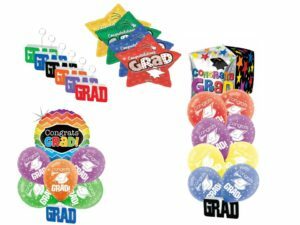 They can be customized to whichever latex and mylar balloons you want to make for a great decoration and statement piece at your graduation party! 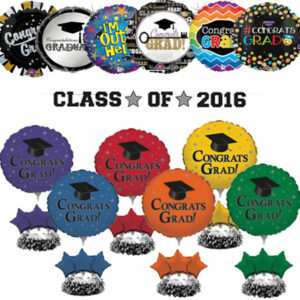 Stop into your local 50-50 factory Outlet and talk to an employee to get started on your customized graduation balloon creation! 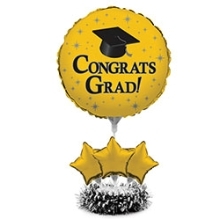 No matter what your budget, we will be able to create a balloon masterpiece perfect for you!